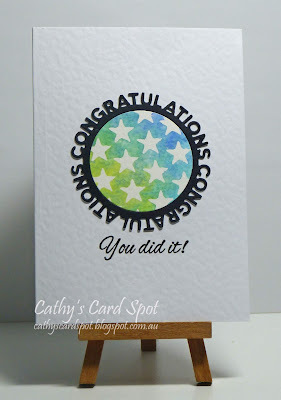 It's been a fantastic month with lots of participation. Many of you tried Stencil Monoprint for the first time --- awesome! 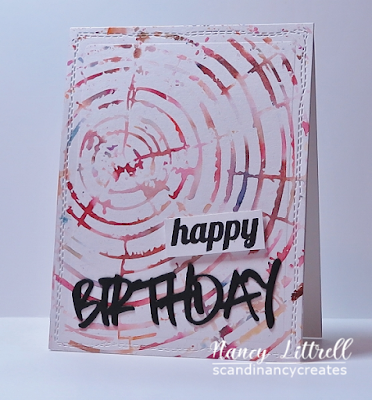 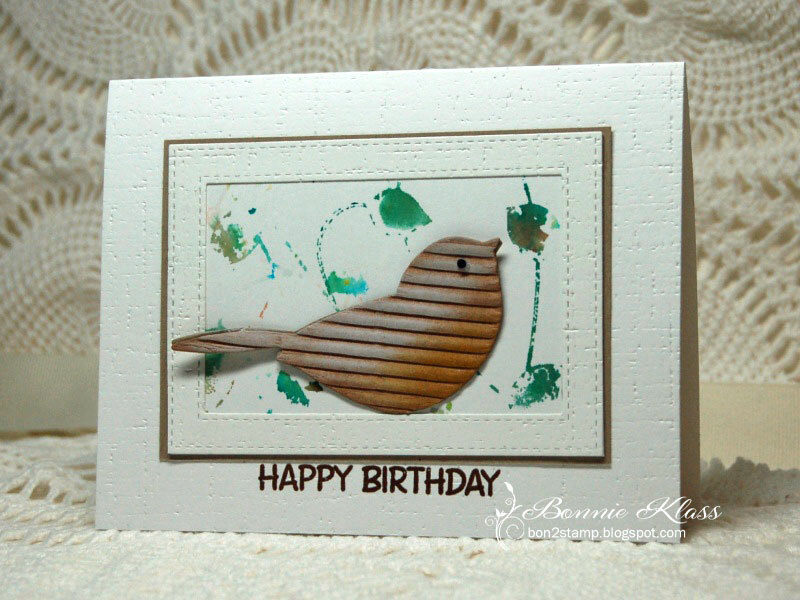 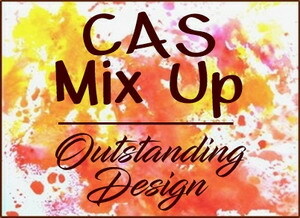 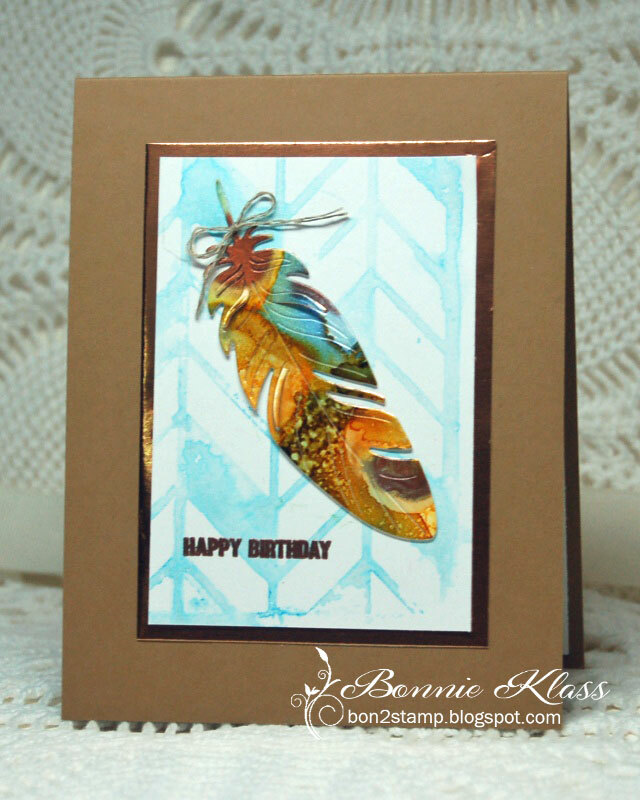 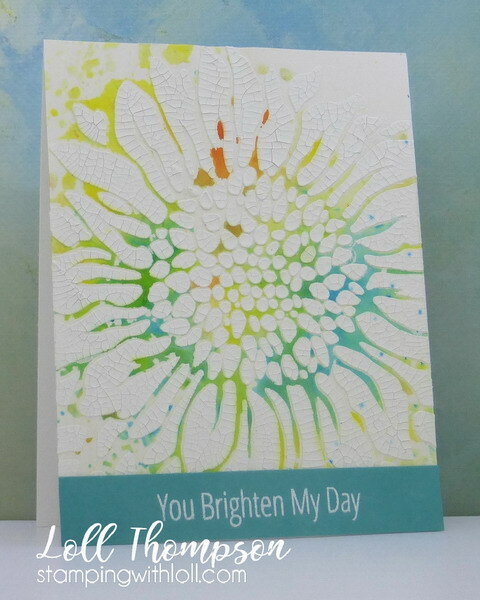 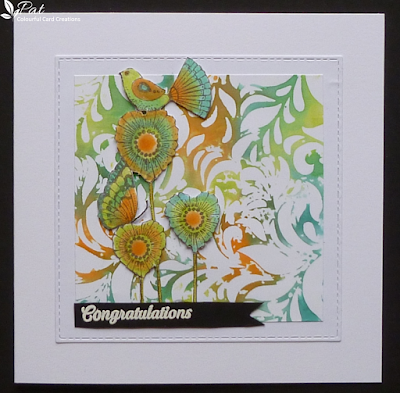 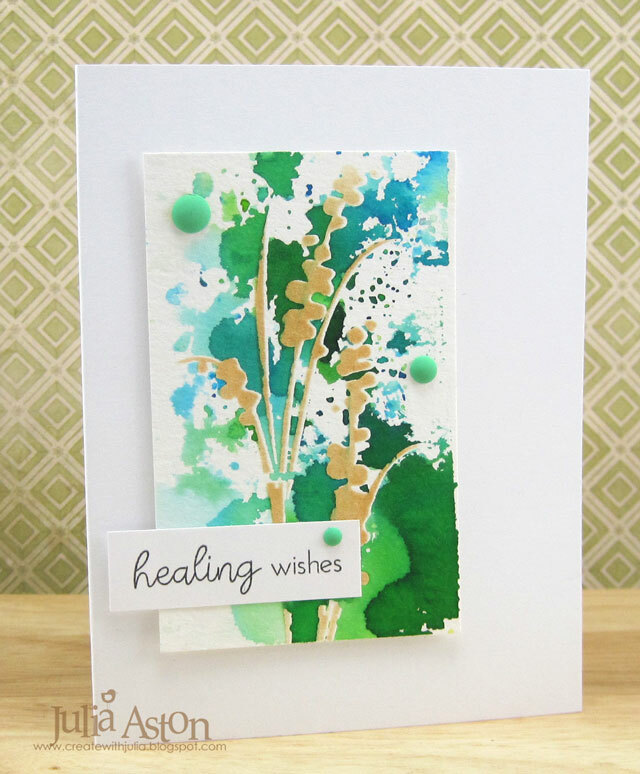 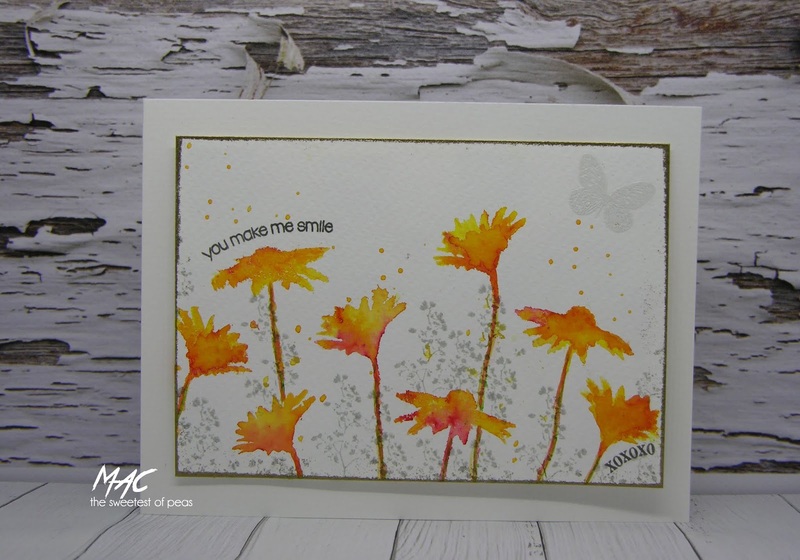 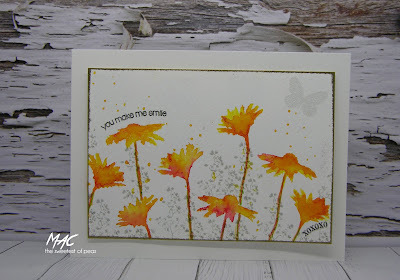 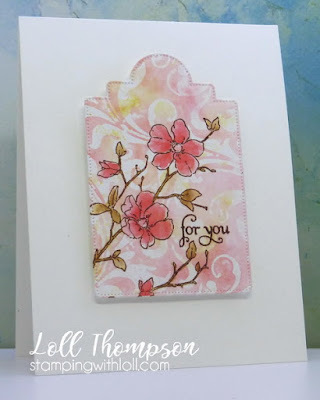 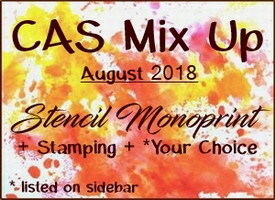 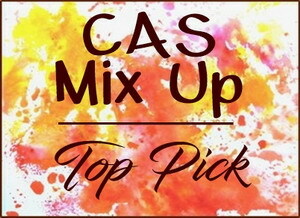 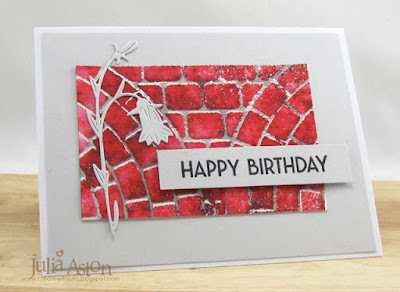 Wonderful Distress Ink colours for Pat's beautifully Stenciled Monoprint background. 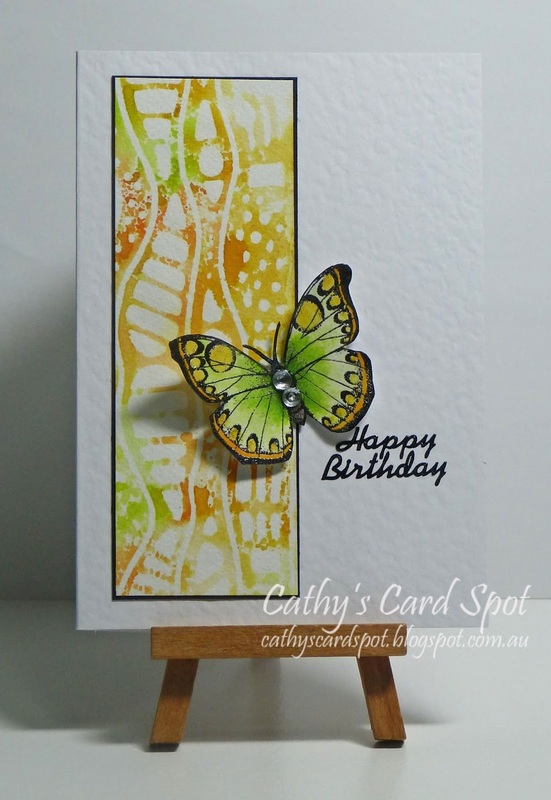 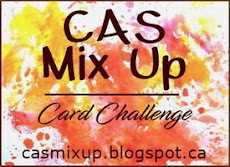 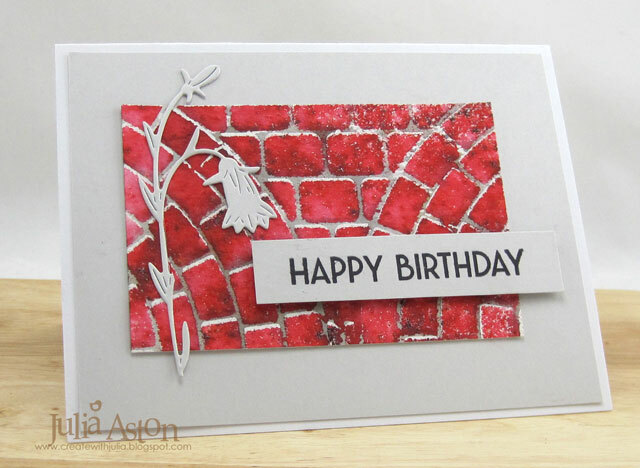 The background gave her creative card a wonderful flow. kept her beauty Clean and Simple. 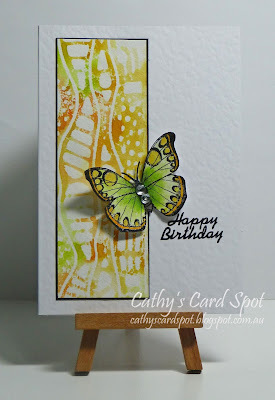 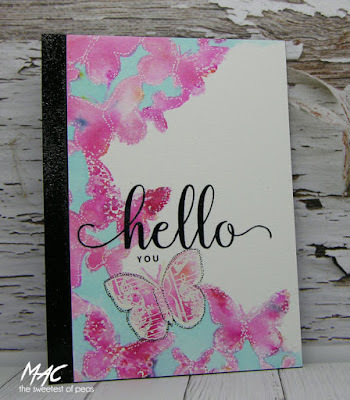 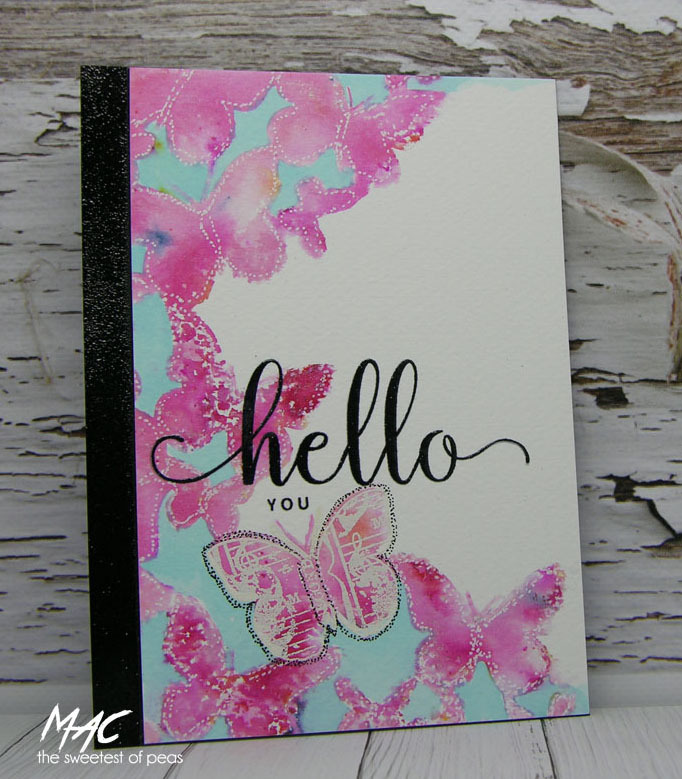 Using Stencil Monoprint with Brushos and a Distress Ink, stamping and enamel dots.